What do you look for in a gas furnace? Some homeowners want advanced features like multi-stage heating for the greatest consistency in temperature possible, or the ability to remotely program the system from a mobile device. Others simply want reliable heating from a well-built furnace that doesn’t come with the added expense of those extra features. If you’re in the second category, the Aire Flo CG95 is a furnace to consider, as Chad in Dexter, Michigan recently did. Here’s the Aire Flo CG95 Model CG95TB040D12B gas furnace price he was good enough to share with us. 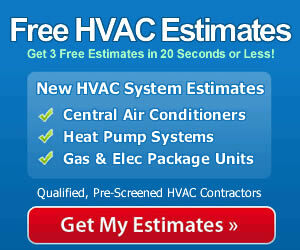 See all our HVAC prices articles for comparison of the brands and models you’re considering. “I found your site a month ago when researching gas furnace prices and it was incredibly helpful. I was able to get a handle on all of the types of features offered on gas furnaces and understand that a furnace’s cost had a lot to do with the number of performance features it offers. For me, I’d rather have basic, reliable high-efficient heat and save the money on the extras. I don’t need to program my furnace from work or know that the temperature will never fluctuate by more than half a degree. That’s what made Goodman furnaces and the Aire Flo so attractive – good efficiency, low price and solid track record. Up to 95% AFUE which qualifies for the federal energy efficiency tax credit. Efficient and reliable single stage heating. Variable speed blower motor delivers balanced, quiet and comfortable heating. Aluminized heat exchanger offers longevity and excellent performance. The motherboard and electronics are fuse protected against power surges. Hot surface igniter is adaptive and durable. Ready for 1 or 2 vent pipe installation. The CG95 line offers multiple sizes: 40K, 60K, 80K and 100K Btu’s; 1.5 – 5.0 ton cooling capacities. These upflow models are convertible to horizontal. Lifetime limited warranty on the heat exchanger; 5-year limited warranty on parts can be extended to 10 years for an additional cost. Some customers are rather shocked to discover that the cost of installation is more expensive than the cost of the furnace in many cases like Chad’s. They may decide to buy a furnace on eBay and install it themselves. Studies show that this is often a bad idea – as improper installation can lead to a 95% efficient furnace running at 75 to 80% in many cases. In the worst case scenarios, poor installation can lead to electrical fires, gas leaks or carbon monoxide leaks. It simply makes sense to hire a qualified contractor who has the expertise and specialized tools to do the work. Keep in mind too, that installation costs include labor, materials, tools, overhead, insurance, permits and other costs that can add up quickly. It isn’t all profit – though contractors are certainly entitled to make a living at what they do, especially when they do it well with proper installation that ensures top performance and safety.